Get a head start on your Food Safety Plan with FSMA-compliant templates. A technical resource for cheesemongers, cheese buyers, and cheese connoisseurs. A scientific resource for producers, purveyors, and enthusiasts of artisan microbial foods. A report produced by the American Academy of Microbiology based on a colloquium held in June 2014. The report focuses on the microbiology of cheese and provides in-depth answers to some of the most frequently asked questions about cheese. From MicrobialFoods.org. An illustrated guide to common bacteria, yeasts, and molds found on cheeses with natural rinds. Welcome to the Safe Cheesemaking Hub! This is a compendium of food safety resources selected and organized to help cheesemakers easily find the information they need. Read the regulations and guidance, and find fact sheets as well as answers to Frequently Asked Questions. This fact sheet, created by Jenifer Buckley, gives a introductory overview of FSMA Preventive Controls for Human Food (PCHF). Though it is written for Wisconsin producers, it includes information that applies to other states as well. A guide to FSMA from The University of Connecticut. A collection of resources from the NSAC about FSMA. Find books and videos on cheese and dairy technology in the Cheese Reporter Library. 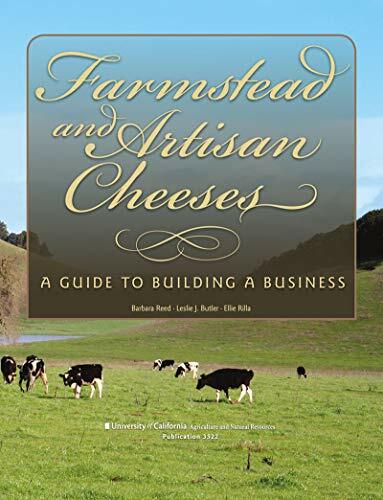 A guide to cheesemaking history, technique, artistry, and business strategies. Better Butter offers insight into the art of quality butter manufacture. A resource for those interested in starting a small-scale creamery. A series of publications by the Dairy Practices Council with practical, peer reviewed information about GMPs. A guide to GMPs from Penn State with illustrations. A series of guidance documents written by the GMA for the control of Salmonella when manufacturing low-moisture foods. The International Dairy Federation (IDF) has created a number of Fact Sheets on topics related to safe cheesemaking, from the use of wood boards to raw milk. A full listing can be found below. A report that summarizes an assessment of the risk posed by L. monocytogenes in these products. The assessment provides estimates of that risk and of the effectiveness of measures designed to reduce it. The results provide risk managers with science-based information to use in making decisions about food policies meant to protect the public from foodborne illness.